This discussion is everywhere. 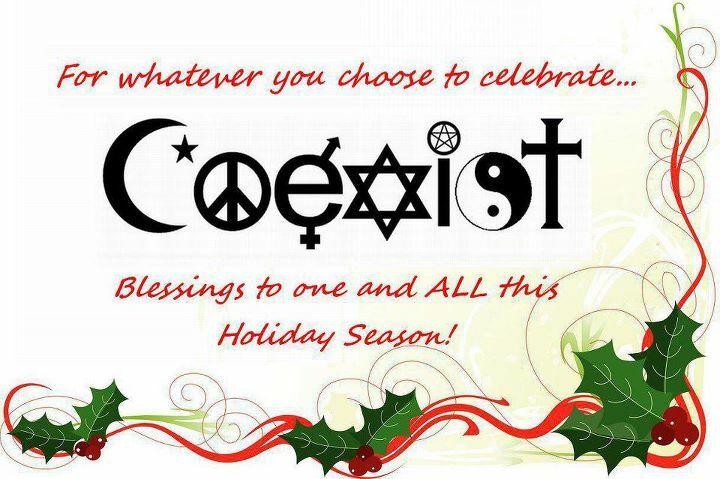 Many of my “Teachers” have been trying to teach me that I shouldn’t celebrate Christmas because its a Pagan holiday. My new “Mentors” tell me that Christmas is a stolen thing and I should only celebrate Yule now. It’s all about when Jesus Christ was actually born. Historians have been working to find the time of Christ’s birth for a while now. The two biggest arguments that shut down December 25th direct pieces of evidence from the Bible, the book of Luke Chapter 2 to be exact. Verses 7-8 say that shepherds were watching their flock at this time of birth. Anyone that knows anything of agriculture knows that any agriculture job is highly unlikely to be done in the winter, including herding animals. Earlier, verses 1-4 say that Mary and Joseph went to Bethlehem to register in a Roman census, which is something that never happened in winter. Historical evidence from Jerusalem’s temple serving records have shown that Zacharias was serving around the dates of June 13th-19th, during which Elizabeth, Mary’s older relative, conceived John the Baptist. Luke Chapter 1 Verse 24-36 directly confirmed that Elizabeth was in her sixth month of pregnancy when Jesus was conceived. After some math, it is determined that John was born towards the end of March, meaning Jesus’s birth six months later would have to be in the end of September. Why is Jesus’s birth celebrated December 25th? Well, UCG.org, the website I retrieved the previous paragraph’s information from, states that “history convincingly shows that December 25 was popularized as the date for Christmas, not because Christ was born on that day but because it was already popular in pagan religious celebrations as the birthday of the Sun.” It also seems like a case of copying ideas because there are 14 different religious holidays that different types of believers celebrate in December, and not all of them are Christian, nor is the oldest existing holiday Christian. It’s kind of as id Christianity wanted to be like the Cool Kids and have a holiday in December like everyone else. No one actually knows the exact date anyone was born in the Bible, and maybe we went supposed to know those specific dates. Why is it a big deal today? Paganism claims that Christianity stole their holiday ideas. That is unfortunately true in nearly all cases. The Christmas trees, the gold and silver decorations, the obsession with ringing bells, it’s far too similar to the Pagan December. Many of the Pagan population holds a grudge against Christianity for a great many reasons, the holiday just one of many. Easter is also a holiday derived from Paganism, but I’l talk about that one closer to that holiday. Hundreds of years and Christmas still exists. Centuries and Yule still exists. Every December holiday is burned into human culture, it is physically impossible for anyone to possibly change the date of any holiday now, and this applies to both religious holidays and national holidays in every country. Imagine if the president of the United States suddenly said that Christmas was now September 25th instead of December 25th, starting in 2019. Some people might go with it, but the majority of Americans would lose their mind. Other nations would lose their minds too, feeling like they must either adjust with the Americans, or fight the urge to break their peace because of such a decision. This would also involve shifting every detail of Christmas to a different month. Lord only knows how many people actually want to do Christmas shopping any time other than the period between Black Friday and Christmas Eve. All the Christmas songs about snow and cold and snowmen and Winter Wonderlands would be out of place. Everyone that intends to use their voice would use it, expressing solid agreement or determined disagreement, thus causing internet wars and maybe even physical violence. Families could be separated by such an idea, friends with different beliefs lost, peace broken when the holiday advertises peace. Maybe in a few decades could we get the holiday in September, because it could be done with a long period of transition. But not enough people, Christian or not, would even want to begin the transition. It’s basically too late to change the date now, too late to change the old traditions, too late to get rid of the Pagan aspects and make it more of a Christian holiday, too late to be able to tell media that December 25th is NOT Jesus’ birthday without getting a terrible societal reaction. Some people will never know about all of this information. Many more may but will never care. It’s infinitely easier to just go along with whats been made normal. The damage has been done and will still be done in years to come. It still doesn’t matter what you celebrate, if you even do celebrate anything in December. The choice remains up to each individual. I hope that everyone had a wonderful December. I hope you got to do something cool, like see a relative you see rarely, take work off, eat some good food, maybe even spend hours cooking and preparing that food. Maybe you traveled somewhere new and got to do some sight seeing, or saw a sight near you, like a park of a billion lights or the house of that one guy that overdoes everything. Build a snowman, go sledding, snowboarding or skiing? Or maybe you had a week that was no different than the last or the next. I hope that everyone had a good time this month with whatever you did. If you struggled this month, I hope you got help from a professional or a friend or a pet. December also marks the end of a year for most, a chance for a new year. Let December end so that 2019 can begin fresh with you.